How Important is Mileage When Buying a Used Car? During the 60’s and 70’s the typical automobile in America reached the end of its life right around 100,000 miles. Buying a car with 100k on the odometer was the equivalent of testing your luck. Even though it seems that 100k has stuck with consumers as a maximum mile marker to buy a used car, experts say modern cars haven’t even reached the half-way point of their lifetime at 100k miles. In today’s market, cars can expect to see a lifetime of 250,000 miles or more. New car dealers have felt the “Catch-22” of building better automobiles over the past few decades. Makers have to build better automobiles to attract buyers, but building better automobiles also means consumers keep their cars longer. New car makers have always tried to figure out how to build better cars without making consumers less likely to upgrade later, and profits have been affected by consumers who are in no hurry to get out of a car that still runs well. The automobiles of the past are nothing like the automobiles of today. Without delving too deep into technological advancement, mechanical design, fuel efficiency, modern electronics and improvements in quality standards, cars are simply made better today. They are safer and last longer. 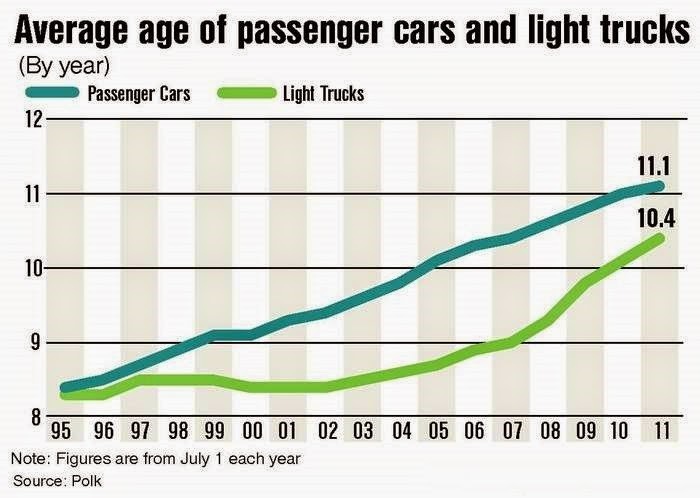 The average age of an automobile on the road today is 11.1 years old. 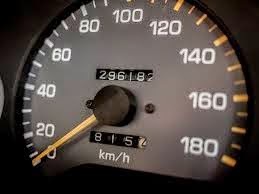 Considering age and the EPA national driving average of 15,000 miles annually, the typical automobile would have about 165,000 miles on the dash. Consumers are holding on to their cars for longer than ever before, and for a variety of reasons. Technological improvements have many models driving without problem for hundreds of thousands of miles. The automobiles of today are built to last more than 200,000 miles with simple regular care. That fact is reinforced by makers like Hyundai and Kia which now include 10 year/100,000 miles warranties on their models. Cars with over a million miles have been documented all over. Those are exceptional cases, but the new normal is well made brands like Honda, Volvo, Hyundai and Toyota being sold with 150,000 miles or more to consumers looking for affordable and reliable transportation. While the majority of the change in the type of automobile on the road today can be credited to better made automobiles, the recession also played a part. People uncertain about their financial future or dealing with financial hardship related to the recession held on to their automobiles. For years, the gap between purchases of new cars and used car has been growing steadily. For every new car sold in the US any given year, 2.5 used vehicles are sold. For 2013, consumers purchased 44 million used cars and only 17 million new cars. New age consumers, equipped with access to unlimited information and aggregated access to thousands of local dealers that post their inventory online are less likely to accept the huge depreciation losses when buying a new car. A new car loses 11% of its value in the minute after purchase. After five years, consumers lose 37% of the initial value. For many consumers, the odometer is the most important part in researching their purchase, and it’s still smart to consider miles. It’s not smart to only consider mileage. If you consider the fact that a car will last 100,000 even with owners that completely disregard maintenance, a car with less than 100,000 miles may actually carry more of a risk. When you find an automobile that has 150,000 or more miles, you know the car was well maintained and still running most likely due to regular care. For car buyers, the decision should be based on the quality of the automobile. Buyers should look at reliable makes and indications of regular care over anything else. Mileage should not decide your purchase for you. As with most other things, research and information will help you make the best decision. As cars get better, and consumers get smarter, considerations like mileage become less rigid. If you’re in the looking for an affordable, quality automobile, check out our inventory page.